Crafter’s Companion has been ranked number 31 in this year’s Sunday Times Lloyds SME Export Track 100 list, after experiencing 72% year-on-year growth in export sales. One of just four North-East companies to make the list, the Newton Aycliffe-based business has grown significantly from a small start-up into a global enterprise, now exporting to 32 countries worldwide across Europe, Africa, Australia and North and South America. Having been listed at number 52 last year, the company jumped to spot 31 in the 2018 list, and expects export growth to continue, particularly in the US and Germany, over the coming years. Company founder Sara Davies MBE said: “We’re absolutely delighted to be listed once again for Sunday Times Lloyds SME Export Track 100. “To move up by such a substantial jump is a real achievement for us and is tribute to the hard work of our teams across the UK, Europe and US. The annual Sunday Times Lloyds SME Export Track 100 league recognises the 100 small and medium-sized (SME) companies in Britain with the fastest-growing international sales over the previous three years. 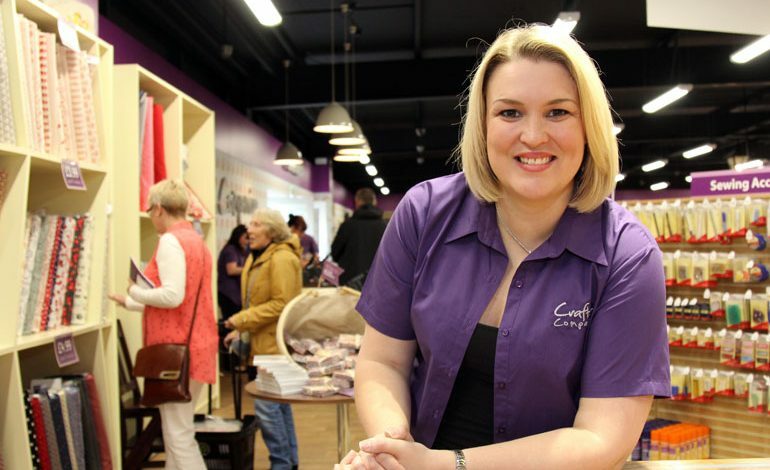 Founded in 2005 by award-winning entrepreneur Sara, Crafter’s Companion has enjoyed continued growth with the company’s export sales increasing by an average of 94% each year, rising to £10.3m in 2017. Crafter’s Companion currently employs more than 100 staff across the UK, selling products online, through its own outlets and independent retailers, and regularly presenting workshops and demonstrations in store and on TV shopping channels in the UK, US and Germany. For further information about Crafter’s Companion, visit www.crafterscompanion.co.uk. The full Sunday Times Lloyds SME Export track 100 list is dues to be published on 25th February 2018 and can be found at www.fasttrack.co.uk.